Villasimius: surrounded by a protected marine area, Riso Beach, junipers, nightclubs and discos, it has all the ingredients for an amazing summer! 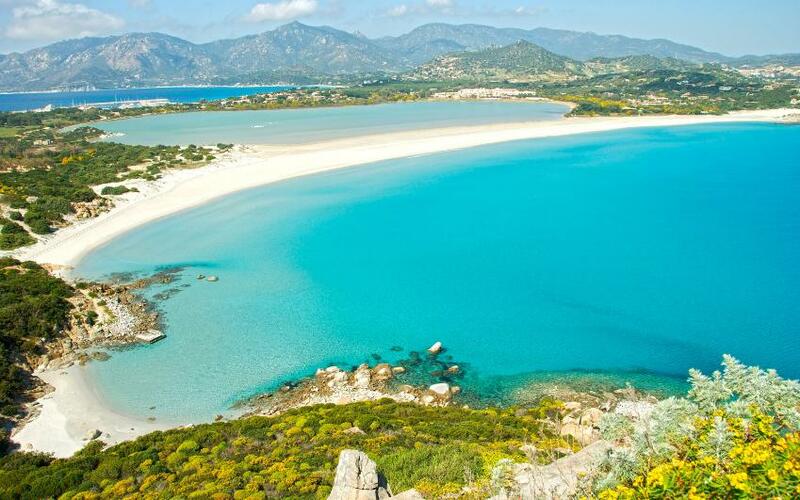 Villasimius is located about 75 kilometers from Cagliari and can be accessed by a scenic road that offers breathtaking views of the coves and beaches of Southern Sardinia. During the summer the city bursts with tourists, which makes it a particularly fun destination: parties, clubs, discos and festivals to rock the nights, and gorgeous beaches around Villasimius to spend the day. For those who love hiking and trekking, the Protected Area of Capo Carbonara is a true paradise. You can take sailboat, kayak or raft trips to explore the seabed diving or simply snorkeling. The sea, the beaches and the coast are recommended for your holiday in Villasimius, and while you are here all the activities are linked to these. No wonder this tourist destination is also called the Polynesia of the Mediterranean. 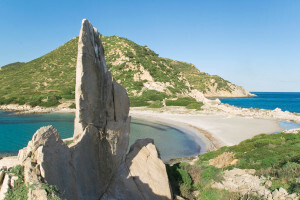 The Protected Area of Capo Carbonara is certainly the main attraction of Villasimius. To enjoy it fully, we suggest you take swimming goggles, mask and fins and explore it from one of the beaches along the coast. Diving, snorkeling, raft tours, dolphin and whale watching are just a few of the activities linked to the sea of Villasimius. Furthermore, because of global warming, some areas have recently recorded the presence of tropical fish, such as the Trigger fish, which can be spotted at Timi Ama beach. 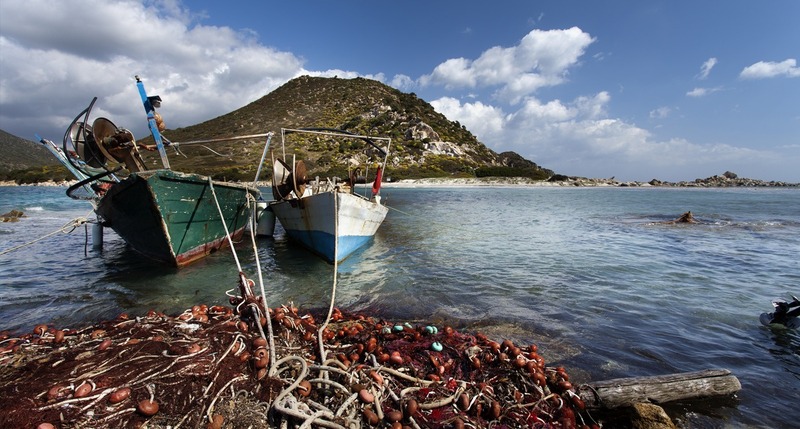 Another activity to enjoy in Villasimius is certainly taking a boat tour to discover the coves, take a swim and have a seafood lunch. 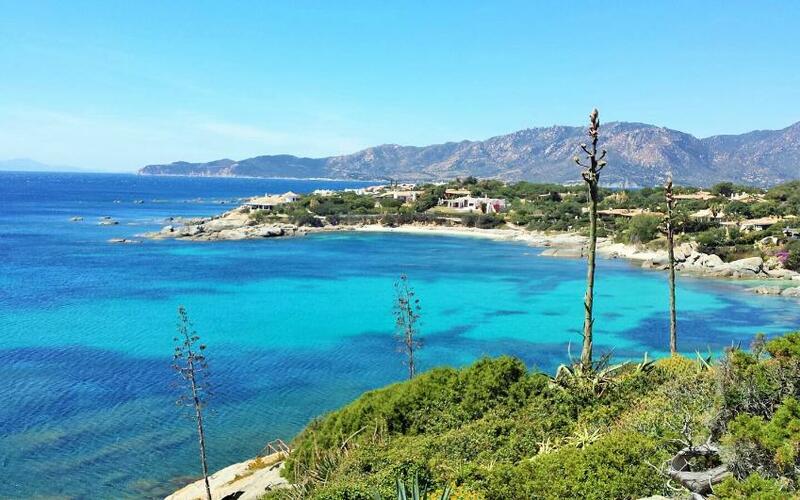 This is a fantastic opportunity to enjoy to some of the best beaches in Villasimius, accessible only via the sea, such as Isola dei Cavoli, Punta Molentis, Cala Giunco, Torre di Cala Giunco and Cuccureddus beach. If you want to take a tour of Villasimius to discover the town’s history, we recommend an itinerary that starts with a visit to one of the Domus de Janas close by. Near Riso beach, in fact, it is possible to visit an old Domus De Janas that shows traces of red ochre inside, a sign of Ozieri Culture. As for the Phoenician, Punic, and later Roman period, it is possible to visit the ruins of the old village near Cuccureddus, on the Campus beach. Near the Church of Santa Maria are located the ancient roman thermal springs. Another attraction in Villasimius is the Fortezza Vecchia (Old Fortress), dating back to the Aragonese period. It is erected on a promontory not too far from Capo Carbonara and often hosts exhibitions and installations. The Fortezza Vecchia of Villasimius is worth a visit also to marvel at the amazing view from the promontory: at the edge of the Gulf of Cagliari, it offers an ideal observation point to watch dolphins and whales swim by during their migrations. 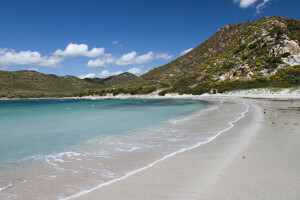 North to south, along the promontory of Capo Carbonara, there are plenty of wonderful beaches: you can visit a new one each day if you decide to spend your holidays in Villasimius. Below, a list of the top beaches in the area. A long and rugged beach, its southern corners are frequented by naturists during some months of the year. 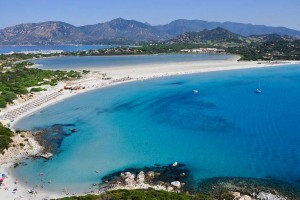 In general it is considered one of Sardinia’s gay friendly spots. Easily accessible through a parking lot along the scenic road. It is sheltered by dunes and junipers which surprise you with their charm upon arrival. Crystal clear waters. This beach is only accessible via the sea, on a boat or kayak, or following the low tide also from Campulongu beach. It is probably the most isolated beach in the area. Access is restricted because of a private lot. White sand and crystal clear waters. Traveling further north along the scenic road to Villasimius, you will find the locality of Campulongu, characterized by a long sandy beach, one of the most popular during the summer. This beach is famous for its sand, which looks made of rice grains, but are in fact grains of white quartz. Surrounded by Mediterranean maquis, there are beach facilities for visitors. 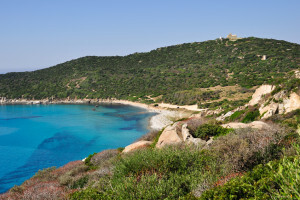 Considered by some one of the most beautiful beaches in Southeastern Sardinia, the Cava Usai beach (or Cava Manna) is also known as Portu su Forru and derives its name from the former mine, whose ruins can still be visited today. A pristine beach also because of the lack of facilities, it is perfect for those who love privacy and intimacy. Porto Giunco is a marvelous beach that has often been the set of commercials or movies. White sand, clear blue waters, the Notteri pond and the presence of pink flamingoes make it a perfect romantic location to watch a beautiful sunset. 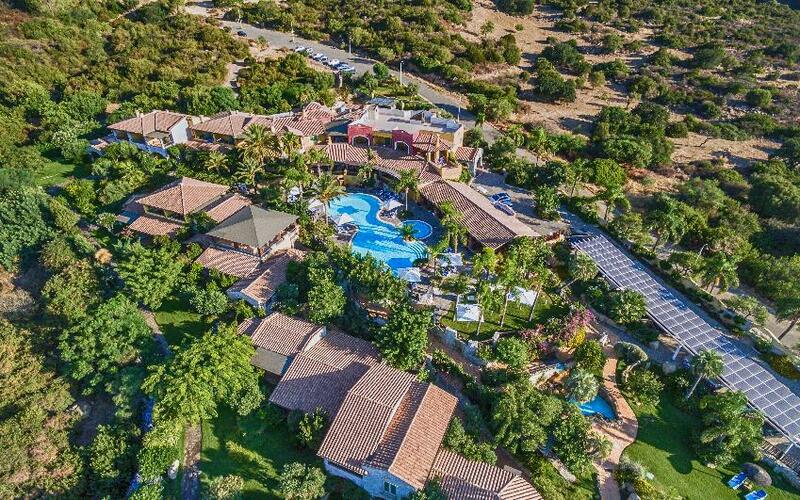 One of the most famous hotels on Sardinia's Southern coast, with a private beach, Thalassotherapy Institute, and restaurants where you can try the best of national and international cuisine.